Clean room, excellent friendly staff, great location. Located on beautiful grounds. We went late September it was fairly quiet we felt like we had our own private pools It was great! Staff so friendly. 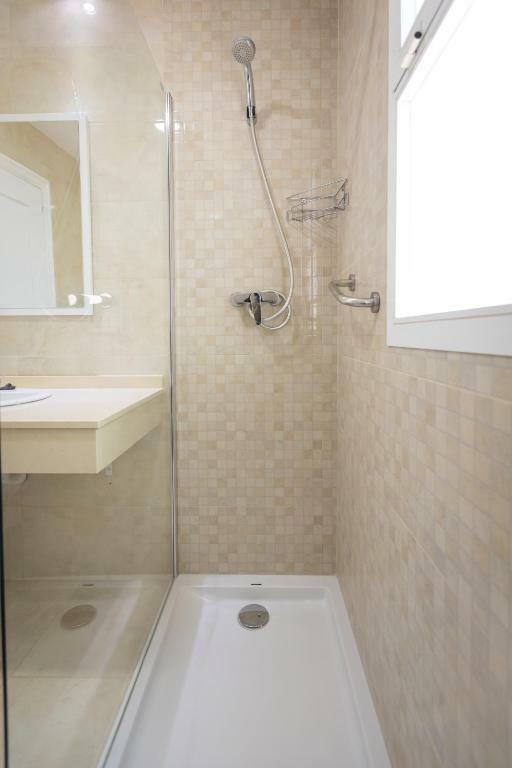 Wonderful location, beautiful big, spacious apartment with large balcony. Lovely warm welcome on arrival. Great pool bar run by a Father/Daughter team - excellent food with great service. Danielle is a beautiful, very helpful lady. Location great, pool and cafe bar great, no issue with parking, decent supermarket practically on site and some lovely restaurants around the immediate area. 15 min walk to beach but down a steep hill. Stunning flat, good parking, good location. Supermarket & Bus Stop within 200 Meters. Pool & Grounds kept spotless every day by attendant. Good sun loungers. Well equipped Flat. Lock in a great price for Apartamentos Las Rosas de Capistrano - rated 8.2 by recent guests. 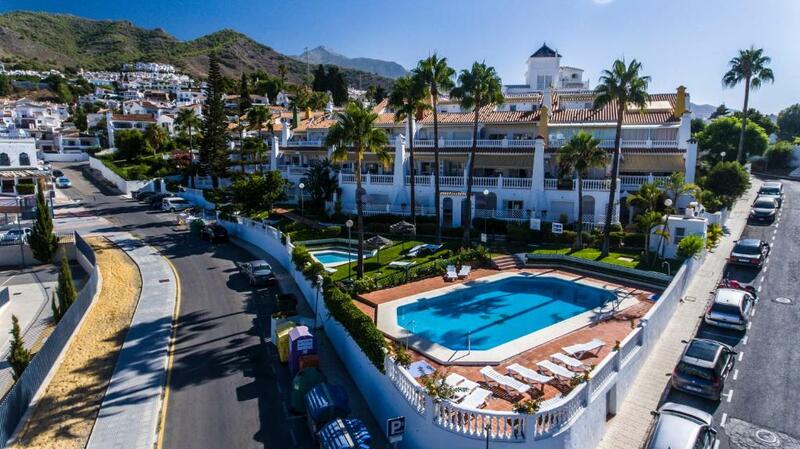 One of our top picks in Nerja.This attractive complex is set in a quiet area, just 900 yards from the beach and 0.9 miles from the centre of Nerja. The local area includes shops and restaurants, as well as transport links. 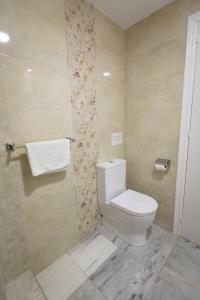 The Complex Las Rosas offers apartments equipped with modern facilities. During the day, you can relax on the sun loungers beside the swimming pool with a drink from the bar. Free Wi-Fi is available by the main pool. Prepare light meals together in the American-style kitchen while your friends or family relax in the lounge area. All Rosas Apartments boast private balconies. 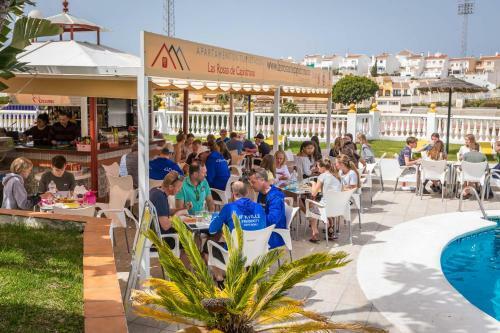 The Rosas Apartments are designed to be in harmony with their Andalusian setting with their white walls, attractive balconies and unusual columns. 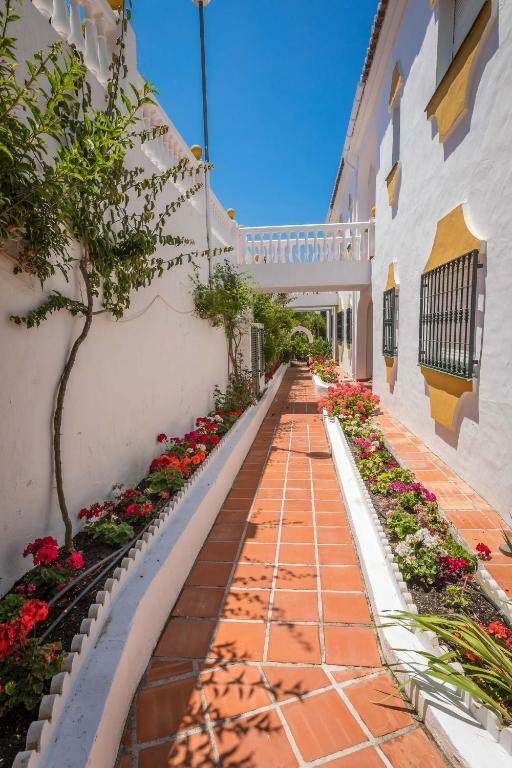 The property is 2.2 miles from the famous Nerja caves while Balcon de Europa viewpoint is 1.2 miles from the property. 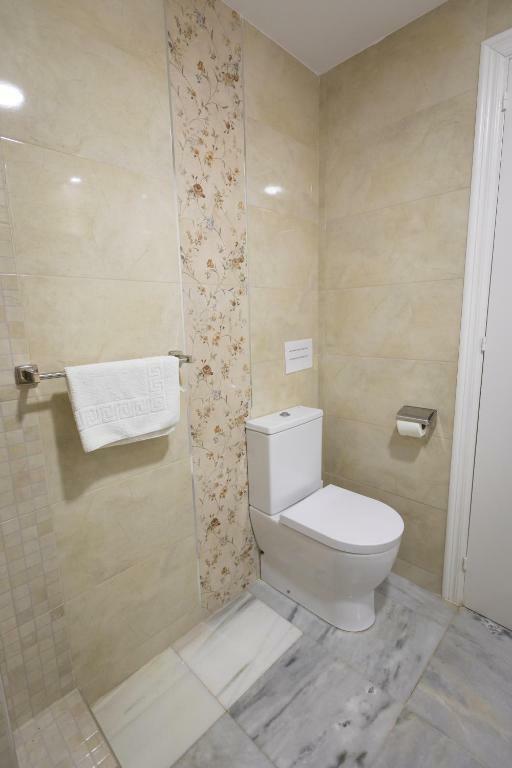 Malaga Airport is 50 minutes drive from the property. 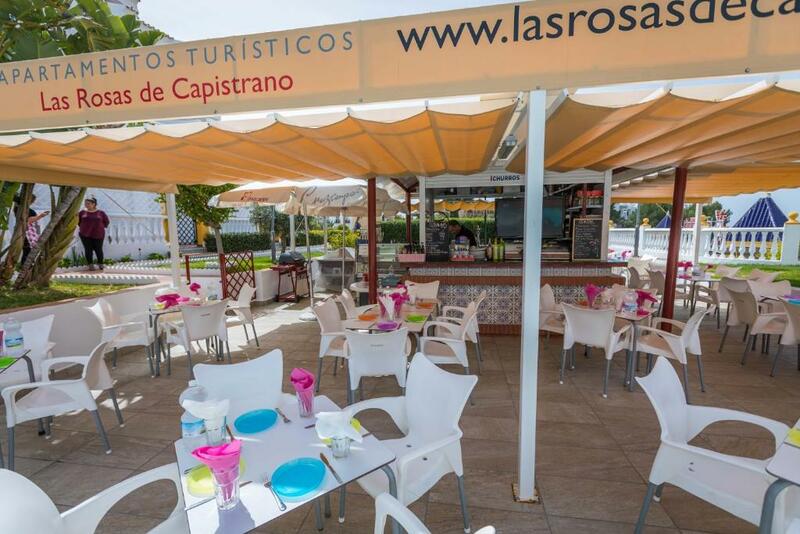 Apartamentos Las Rosas de Capistrano has been welcoming Booking.com guests since 13 Apr 2010. 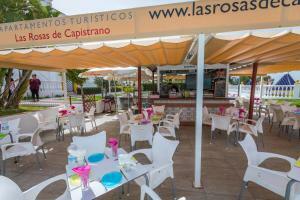 When would you like to stay at Apartamentos Las Rosas de Capistrano? This simple apartment has a balcony overlooking the property's gardens. There is a twin bedroom, a living room with a double sofa bed, and a kitchenette with a microwave, fridge, oven and coffee maker. This simple apartment has a balcony overlooking the property's gardens. There is a twin bedroom, a double bedroom, and a living room with a double sofa bed. The kitchenette comes with a microwave, fridge, oven and coffee maker. This duplex apartment has 2 floors. Upstairs there are 4 single beds, a small terrace and a bathroom. Downstairs there is a kitchenette with microwave and oven, a living area with satellite TV, a bathroom and a big terrace. 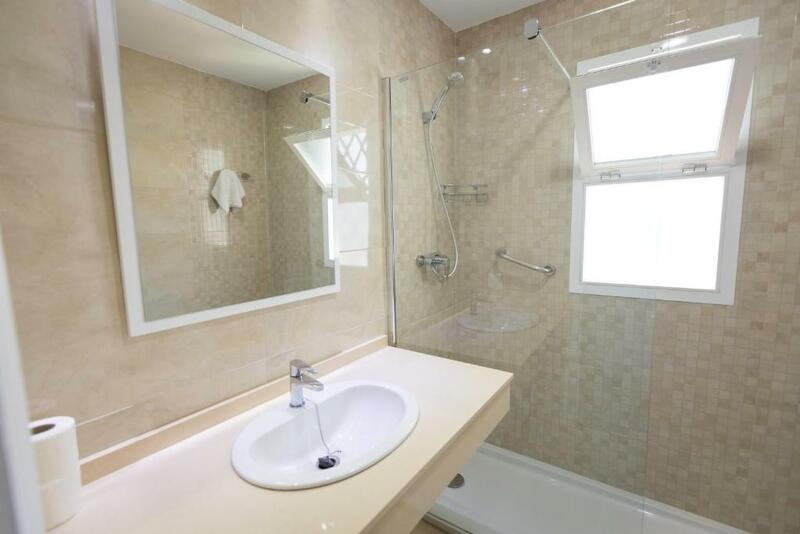 Distributed over 2 floors, this duplex apartment comes with 1 double room, 2 twin rooms and 2 bathrooms. Downstairs there is a kitchen, a living area and a big terrace. There is a smaller terrace upstairs. This simple apartment has a balcony overlooking the street and the supermarket roof next to the complex. There is a twin bedroom, a living room with a double sofa bed, and a kitchenette with a microwave, fridge, oven and coffee maker. House rules Apartamentos Las Rosas de Capistrano takes special requests - add in the next step! Apartamentos Las Rosas de Capistrano accepts these cards and reserves the right to temporarily hold an amount prior to arrival. At all other times and on Sundays, keys must be collected at the Hotel Nerja Club. Please inform Apartamentos Las Rosas de Capistrano in advance of your expected arrival time. You can use the Special Requests box when booking, or contact the property directly with the contact details provided in your confirmation. Spacious and modern apartment. Excellent location. Value for money. Off season visit, no experience with pools or facilities other than apartment and reception staff. The rate was just a little high..borderline on what we can afford. The bar by pool was closed for nearly the whole time. The sun beds were locked up. It was a quiet location, near to supermarkets and a short walk to town. The outings we booked were well organized. The weather was perfect for us, 22-24. Lack of toiletries for the duration of stay. Two toilet rolls for three people on a 4 day stay. Some washing up liquid left and that was it. Gives the impression that they are not really bothered. Beware that there is an athletics track directly opposite which if there is an event on, it is very noisy. Beds were not the comfiest and the only other thing letting the apartment down is no air con In the height of summer it would be extremely uncomfortable. Other than that it would be getting a perfect rating! There could have been some mirrors in the bedrooms - only one in the bathroom. We loved the bar / restaurant facilities. Good food and tapas and very friendly. Only downside is we were on a late flight and once we checked out at 11am - we had no where to shower before heading to the airport. The complex was fully booked out on our departure day (which proves how popular they are) so it was not possible to use a courtesy apartment or rent an apartment for a couple of hours.